With its first word, “Remember?” A Little Night Music (1973) offers an invitation to a past era of elegance and enchantment. 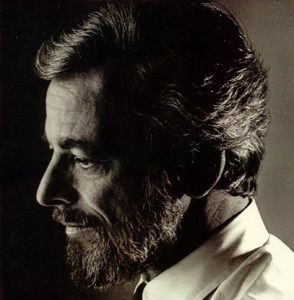 Stephen Sondheim’s previous collaborations with director Hal Prince, Company (1970) and Follies (1971), were notable for their contemporary New York setting. This time they took audiences back to turn-of-the-century Scandinavia where love, laughter, and music float through the air on evening breezes in a land where the sun never sets. A Little Night Music developed from this team’s desire to write a chamber opera about romance and foolishness, an idea first conceived during West Side Story (for which Sondheim was lyricist and Prince producer). For source material they decided to use Ingmar Bergman’s bittersweet film Smiles of a Summer Night (1956) but agreed that their work should be an original musical suggested by the film’s story. This difference in opinion does not bother Wheeler: “Three individuals, when they collaborate, can remain individuals and I think that is the way it should be. A work need not be splintered if, as in this case, the book writer is thinking of A Midsummer Night’s Dream and the director of Chekhov and the composer of something else. With any luck what comes out is the richer for the variety of visions” (letter). This wealth of visions arising from four creative minds provides thematic tensions which run through the musical. The following discussion looks at three: action versus inaction, man versus woman, and dignity versus folly. His wife Anne realizes her “one shortcoming” and sings to sleeping Fredrik, “Soon, I promise. Soon I won’t shy away, Dear old –.” She still thinks of her much older husband, not as a lover, but as “Uncle Fredrik” who visited her as a child – the unconscious motivation for putting off her wedding night. Sondheim calls these numbers “inner monologue songs in which the characters describe their deepest thoughts, almost never singing to one another” (Zadan 203). He contrasts inner states of mental and emotional activity represented by active music and lyrics with the inactivity of their outward, visible lives. These people are so busy contemplating activity that they will never do anything about it. Their interrelationship as characters, which Sondheim demonstrates by the use of counterpoint, only compounds the problem. As lyrics begin to mingle and overlap, each of these people moves to a greater state of inactivity. Fredrik’s persistent request to his wife gradually regresses from “Now” to “Soon,” while Anne’s wavering response to him changes from “Soon” to “Later.” Henrik becomes more impatient, but what he wants “Now” is death (“Let it come to me now”), the ultimate state of inactivity. In the heart and in the head. Her plight would correspond to Chekhov’s view of tragic attrition, the gradual wearing away of a life, except that Charlotte is completely aware of her condition and yet will do nothing about it (as yet). Chekhov’s tragic figures could improve their situations if they had such self-awareness, but of course they do not – that is their tragedy. Another player on the side of the Grim Reaper is the aged Madame Armfeldt. Having spent her life establishing profitable but empty liaisons with royalty, she now sits in her wheelchair playing solitaire and waiting for death; she knows too much about life to do otherwise. Instead of viewing death as a release or an inevitable tragic defeat, Madame Armfeldt seems to have reached an understanding of the universal cycle of life of which death is just another part (Adler 524). As her weekend guests arrive, she frivolously opens a bottle of champagne reserved for her funeral, hoping that one less will not “diminish the hilarity at [her] wake.” Later at dinner she offers a toast “To Life! . . . And to the only other reality – Death!” Significantly only Madame Armfeldt and Charlotte drink to the latter. Finally, when the summer night smiles the third time, Madame Armfeldt goes to meet this other reality. And there’s many a bed. But I’ll not have been dead when I die! MADAME ARMFELDT: A great deal seems to be going on in this house tonight. . . . Will you tell me what it’s all for? Having outlived my own illusions by centuries, it would be soothing at least to pretend to share some of yours. FREDRIKA: Well, I think it must be worth it. FREDRIKA: It’s all there is, isn’t it? Bergman conceived his film Smiles of a Summer Night as a mental puzzle, an elaborate game with human beings as the playing pieces: “I felt it would be a technical challenge to make a comedy with a mathematical pattern – man/woman, man/woman. Four couples. And then muddle them all up, and sort out the equations” (Bergman 99). Jorn Donner, a Bergman critic, notes that these characters “move like marionettes in the game of love” (128). Resembling this idea, an early draft of A Little Night Music told the story as a fantasy with three different endings. Sondheim explains, “It was to take place over a weekend during which, in almost game-like fashion, Desiree would have been the prime mover and would work the characters into different situations” (Zadan 202). Each time someone in the combination was out of place, and so Madame Armfeldt, like a witch figure, reshuffled her cards, and the scene began again. Sadly, her recognition scene comes too late in the drama of life (at least she thinks). Although now she plays her part flawlessly, Fredrik chooses to pass her by. Bergman’s original screenplay reflects his admiration for the Swedish dramatist August Strindberg (Bergman 18). In Strindberg’s eyes men and women are not engaged in a casual game of love, but rather in a bitter struggle for survival of the fittest. He sees sexual attraction as “a diabolical invention for the propagation of the race by the will of the species. . . ready relentlessly to destroy personal happiness in order to carry out its end” (Brustein 101). Strindberg’s own relationship with women was almost schizophrenic: “While he’s an obsessive worshipper of women, he also persecutes them obsessively” (Bergman 18). This sexual tension in the film provided Sondheim with the dimension of ambiguity he enjoys exploring in his characters. It’s what a man expects from life. And Charlotte, my devoted wife. Unlike Carl-Magnus, Charlotte does recognize her own paradox but at this moment is as powerless as he is to do anything about it. However, we notice a sharp difference in tone in the release passages of both songs which foreshadows future developments. In the first, the release shows Carl-Magnus weakening, whereas in the second Charlotte becomes more intense and passionate. Later, fired by this vehemence, Charlotte re-enters the battle given the opportunity to win back her husband. The predominant view in A Little Night Music, however, shows man in conflict less with other people than with his own folly. At the beginning of the play Madame Armfeldt explains to her granddaughter that the summer night smiles three times “at the follies of human beings, of course. The first smile smiles at the young, who know nothing. The second, at the fools who know too little. . . and the third at the old who know too much.” These smiles are altered somewhat from the film, but significantly Bergman’s second smile is for “the clowns.” Fredrika and her grandmother provide a perspective from both extremes of the lifespan, foreseeing and/or remembering the follies of love. Much of this perspective comes from the original film. “[Bergman] shows that man, who always tries to exceed his limitations, is a more suitable and common comedy figure than woman. . . . In his comedies, the women are usually satisfied with the role traditionally allotted them, and try to keep it. The men are dreamers” (Donner 117-8). In A Little Night Music the men seem comical because they pretend to be something they are not. Henrik studies and suffers to be a ministerial student when his calling is obviously much more earthbound. Fredrik tells his son that “being young in itself can be a trifle ridiculous,” yet he with his eighteen-year-old bride is himself “busy renewing his unrenewable youth.” Carl-Magnus sees himself as a magnificent lover and a devoted husband, losing on both counts. Desiree, in the play-within-the-play, pinpoints the cause of this folly. Men feel they must maintain their dignity at all costs, or at least the illusion of such. Men hide behind the appearance of piety, youth, and physical prowess to escape the reality of their weaknesses. Therefore, to force them into facing reality, their false sense of dignity must be stripped away. Chekhov was a master at uncovering the folly of human beings. His plays do not have conventional heroes because he did not see people as such gigantic figures. The people who populated life as he saw it were commonplace, undramatic, and often humorous creatures. He once said proudly, “There is not a single villain or angel in my play (though I did not resist the temptation of putting in a few buffoons)” (Brustein 143). Although subtly hidden in his seemingly naturalistic style, elements of farce and melodrama – falls down flights of stairs, interrupted love scenes, unsuccessful suicides and murders – are used in Chekhov’s plays as satiric devices to deflate his pompous and arrogant characters to their true size. The confrontation scene between Fredrik and Carl-Magnus in Desiree’s apartment is a perfect example of “dignity” brought to its lowest point. “One is attired in a dressing gown, the other in military panoply. . .. Between them stands the woman who finds them both ridiculous” (Donner 118). Later two unsuccessful suicide attempts become further blows to manly pride: Henrik fails at hangmanship and Fredrik misses in Russian roulette. Death itself seems to smile at their foolishness. He is not deceived by their carefree facade, nor were several critics who saw the sadness in this “light” operetta. Richard Watts comments, “On the surface they appear to be enjoying their sins, except at moments when they are embarrassingly caught in them. But the atmosphere, for all its gaiety, seemed to me that of men and women who are leading hollow lives and are only too aware of it.” All does not end in despair, though: the clowns eventually find their correct partners and can continue “to celebrate what passes by” on a more realistic level. To create an integrated sound for the production, Sondheim “put everything in some form of triple time so that the whole score would feel vaguely like a long waltz with scherzi in between so that no song would seem to have come from another texture” (Sondheim 13). Within this waltz musical he places fugettos (“Later”), canons (“Every Day a Little Death”), contrapuntal duets (“You Must Meet My Wife”), trios (“Soon”), a quintet (“Remember?”), and a double quartet (“A Weekend in the Country”). Music and staging are almost an indivisible unit in much of Sondheim’s work, but especially in the case of “A Weekend in the Country.” The script called for a completely musical scene to establish the details of how everyone meets at the Armfeldt country mansion one weekend. Sondheim as usual was behind schedule; Prince says he “got tired of waiting” so he asked the actors to ad-lib the lines and invented blocking for them to rehearse. Sondheim watched the scene and then wrote the piece so specifically that the blocking did not have to be altered. “Steve suggested that next time we should stage our libretto without any music, show it to him, then let him go away for six months to write the score” (Prince 179). Such a situation also inspired “Send in the Clowns,” which Sondheim wrote in one evening after viewing a rehearsal. DESIREE: Was that a farce? FREDRIK: My fault, I fear. DESIREE: Me as a merry-go-round. FREDRIK: Me as King Lear. . . . Make way for the clowns. DESIREE: Applause for the clowns. Adler, Thomas P. “The Musical Dramas of Stephen Sondheim.” Journal of Popular Culture 12 (3/1978): 513-35. Bergman, Ingmar. Bergman on Bergman. Interviews by Stig Bjorkman. Simon and Schuster, 1973. Bergman, Ingmar. Four Screenplays. Simon and Schuster, 1960. Brustein, Robert. The Theater of Revolt. Little, Brown, 1962. Donner, Jorn. The Personal Vision of Ingmar Bergman. Indiana UP, 1964. Prince, Hal. Contradictions: Notes on Twenty-six Years in the Theater. Dodd Mead,1974. Watts, Richard. “Happy Evening in Sweden.” New York Post, February 26, 1973. Wheeler, Hugh. Letter, June 15, 1982. Zadan, Craig. Sondheim and Co. MacMillan,1974.